EGAI is an excellent plc scada training center in Chennai with superior integrated infrastructure and newly designed labs for students to practice and pursue training for multiple courses at Chennai. EGAI train many students around the globe every year for the plc scada training at an affordable price which is customised as per each candidate’s requirement of modules and content. plc scada training course involves “Hands-on experience”, we believe in practice what you preach and therefore each candidate is encouraged to practically conduct each topic that is discussed for better understanding of real-world scenario plc scada. 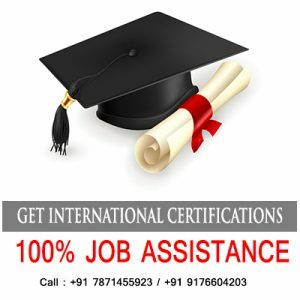 This practice of comprehensive training allows candidate to gain all the concepts and skills effectively and to later efficiently apply on their field of work. EGAI is one of the best plc scada training institute in Chennai with 100% placement assistance. EGAI has well structure modules and training program designed for both students and working professionals separately. At EGAI plc scada training is conducted during all 5 days, and special weekend classes. Can also be arranged and scheduled. We also provide fast track training programs for students and professionals looking to upgrade themselves instantly. Why PLC Training In Chennai At EGAI? Chennai is the commercial hub of South India and its home to global manufacturing companies. Most of the companies looking for trained engineers in the field of industry automation. But there is shortage for trained engineers in the field of automation. To cater the problem, EGAI is offering Best PLC Training in Chennai by industry experts designed to fill the vacuum of practical knowledge and industry automation demands. EGAI is best PLC Training institute offering PLC Scada Course in Chennai with automation theory and practical. PLC is acronym of Programmable Logic Controller is a digital computer used for industry automation that includes machineries, factory assembly lines, light fixtures, amusement rides, etc. PLC is used in many machines in all type of industries. This controller is designed for multiple arrangements, extended temperature ranges, analog inputs and outputs, resistance to vibration and immunity to electrical noise. PLC is powered by a non-volatile memory to automate the industry process. Modern PLCs offer advanced functionality with motion management, method management, relay management and sophisticated networking. PLC monitors inputs and different variables like values, create selection and manages output to automate a machine or method. With PLC systems, SCADA (Supervisory Control and Data Acquisition) is used to remote control and monitoring that operates with coded signals over communication channels. Now, industries totally rely on industry automation, there is huge demand for PLC and Scada operators across the world. Taking PLC Scada Training in Chennai will ensure better prospects for talented professionals. 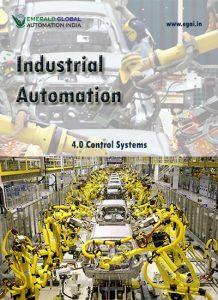 What is Industrial Automation in Manufacturing? Industrial automation in manufacturing is the use of “intelligent” machines in factories so that manufacturing processes can be carried out with minimal human intervention. It involves the application of various control systems to enable operating equipment to carry out on their own, with little human intervention, tasks that require speed, endurance and precision. Industrial automation can be achieved by several different means, including mechanical, electrical, electronic, hydraulic, pneumatic, and computers. Usually, two or more of these means are used in combination. Today’s state-of-the-art factories, ships, and airplanes combine all of these techniques. The main benefits of manufacturing automation include leaner operation processes that require less energy, less material, and reduced labor waste. These can lead to improvements in quality, accuracy, and precision. Today’s industrial robots have high computing capabilities, vastly improved vision systems, and increasing operational degrees of freedom. However, they are limited to operating in highly structured environments and, to a large extent, still need to be controlled by humans. They are also too specialized and inflexible for the use of small and medium industries. Therefore, they can essentially be considered tools of long production runs and large manufacturers. With the rapid development and proliferation of microcomputer and software technologies, automation in manufacturing is almost totally dependent on the capabilities of computers and software to automate, optimize and integrate the various components of the manufacturing system. Due to this dependence, automation in manufacturing is called computer integrated manufacturing. What is the Future of Industrial Automation? Although industrial automation in manufacturing in not without its detractors (such as an unsubstantiated claim that it will lead to mass unemployment), its future looks very bright. Industrial robots of the future will be multi-functional so that the same machine can be put to several different uses. They will have many capabilities associated with human workers, such as the ability to make decisions and to work autonomously. They will also have self-diagnostic and predictive maintenance capabilities. Thanks to industrial automation of manufacturing, the factory of the future will be more efficient in the utilization of energy, raw material and human resources. Also, contrary to popular belief, the experience so far has shown that automation will not cause mass unemployment. On the contrary, the mass use of robots will create more jobs. Humans and robots will work together to create a more efficient and productive workspace. 20 Major Brand’s of PLC’s, 5 Major Rack Type PLC’s, 10 SCADA, HMI, VFD, DCS, Panel Wiring, Designing, MCC Panels, Industrial Safety.